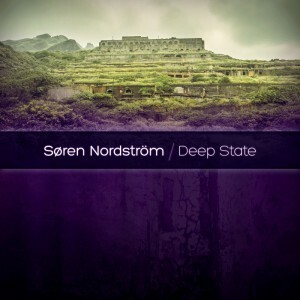 Søren Nordström returns to Drumlore with his full-length debut album, Deep State. Building on the deeply hypnotic style first heard on Protogenesis, this release examines the shadowy machinations of the surveillance state through haunting minimal and dub techno rhythms and eerie ambient soundscapes. Written and produced by Søren Nordström. Mixed by Michael Phillips. Mastered by Will Brodeur. Artwork by A. Synaptic. MP3 Download | FLAC Download | WAV Download · Download count: 14,561. Released under a Creative Commons license for noncommercial usage. Direct donations are welcome via Bandcamp. Wow, fantastic album Soren! By far my favorite of all your album’s. Great work! What a journey this is. Great work. This totally deserves to be on the front page! I Love This Album! Thank U…. Namasté! Fantastic release! Superb work by any standard. I just scanned your LP, seems delicious for this moment. my next download is this surprised one :). great work! thank you for sharing this!! The previous album is better, but this one is pretty good.